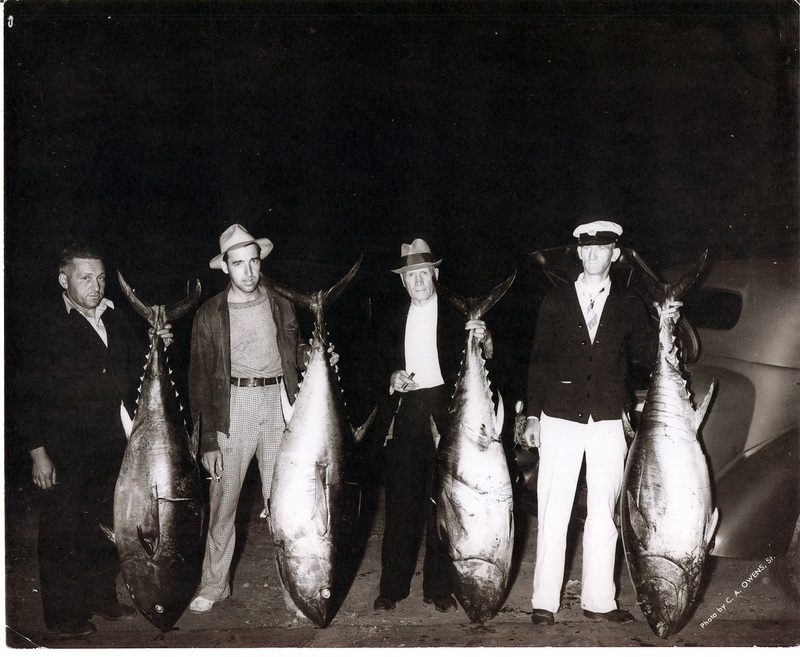 In the early 1930s a group of enthusiastic fishermen formed the original, unincorporated Forked River Tuna Club. It was everything the name implies - a typical fishing club. 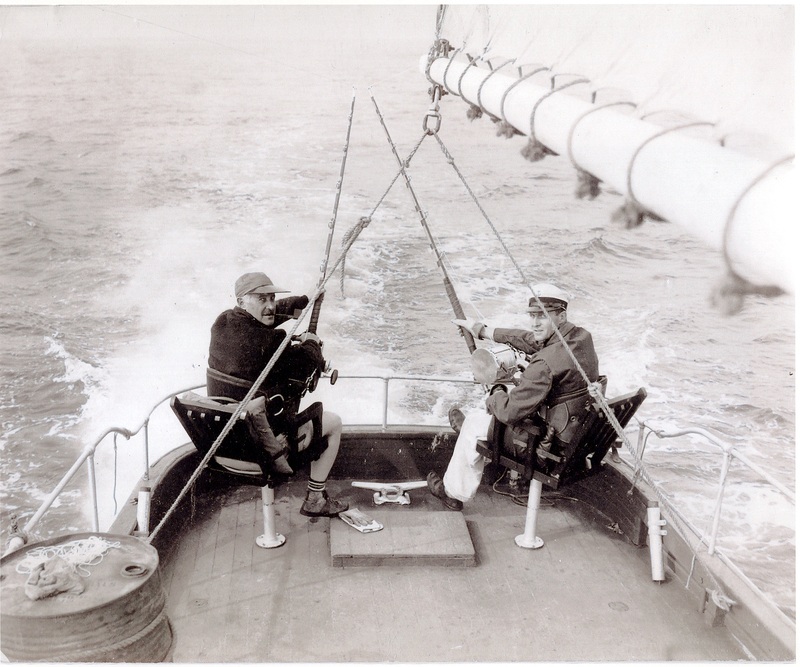 The primary purpose was to enter the various fishing tournaments along the Atlantic Seaboard. 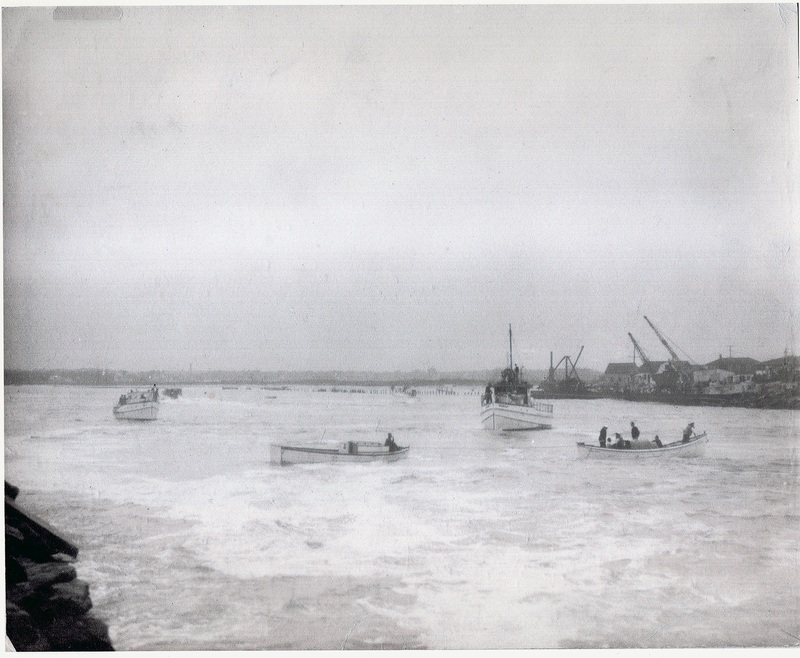 Each year, after the various tournaments were sched­uled, the group would get together in some comfortable local tavern and agree on the number of boats to register; with the skipper of each boat selecting his own crew and each boat bearing its own expenses. 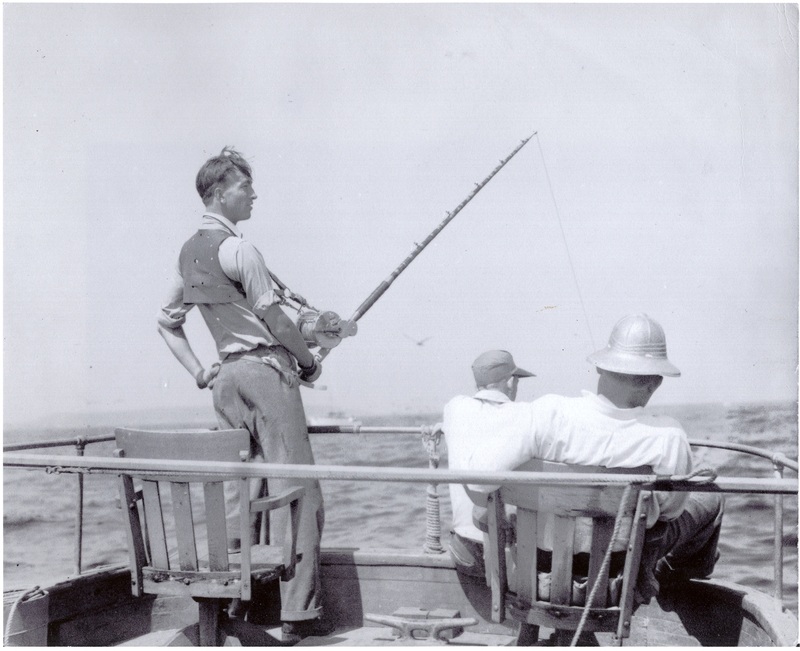 The club had no set rules of activity for guidance and came to life each year only to fish the tournaments. 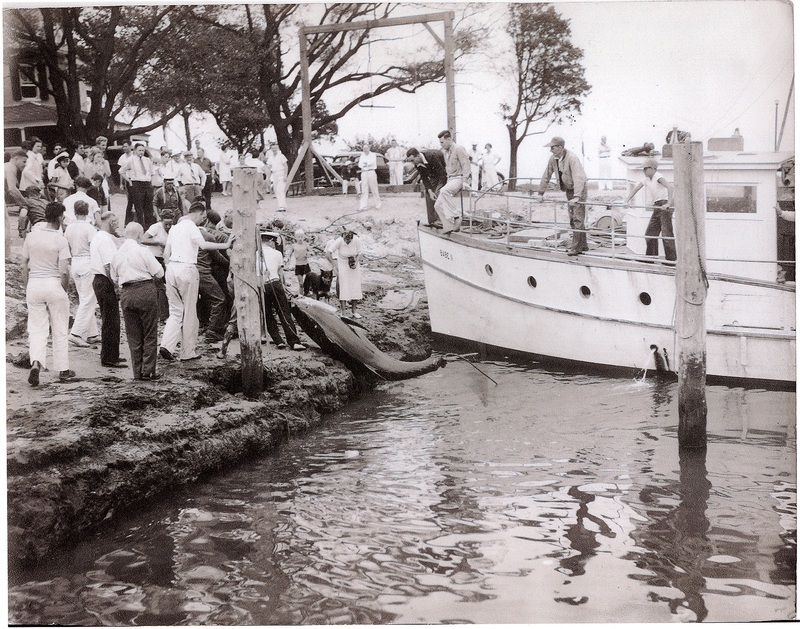 It was a "perennial" with roots buried deep in the field of sport fishing. Tournament rules changed and unchar­tered groups were no longer allowed to register boats in the tournaments. Out of necessity, a new club was formed and incorporated in 1937. 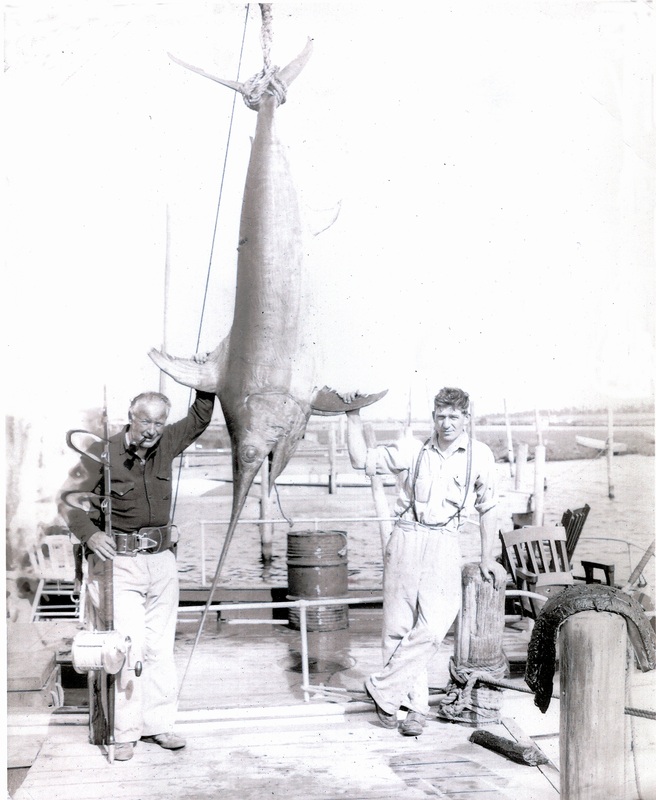 State Senator W. Steelman Mathis, an avid sport fisherman and main stay of the group, became its first president and the incorporated name of the club was registered as the Forked River Yacht & Gun Club. 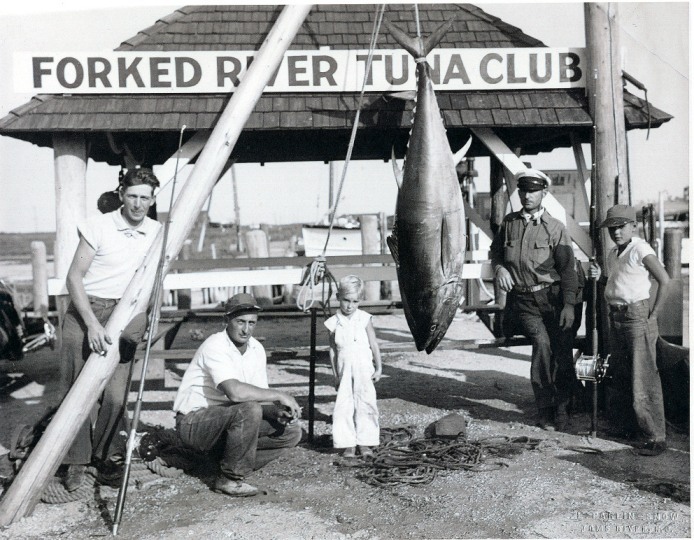 This club was founded for the same purpose as the Forked River Tuna Club with the same mem­bership. Headquarters were in Eno s Hotel, an historic landmark which was later destroyed by fire in 1952. 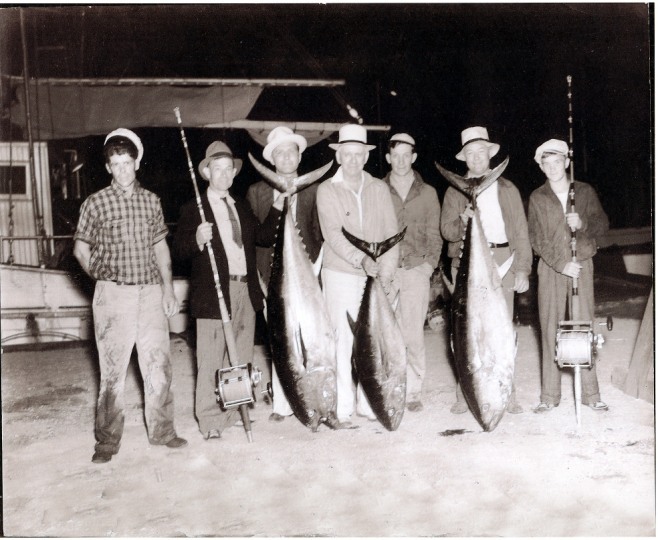 The members were very active in tournament fishing; winning their first trophy in September 1938. This was achieved when Richard Barkalow landed a 308 lb. tuna in the U.S. Atlantic Tuna Tournament at Ambrose Lightship Mud Hole. 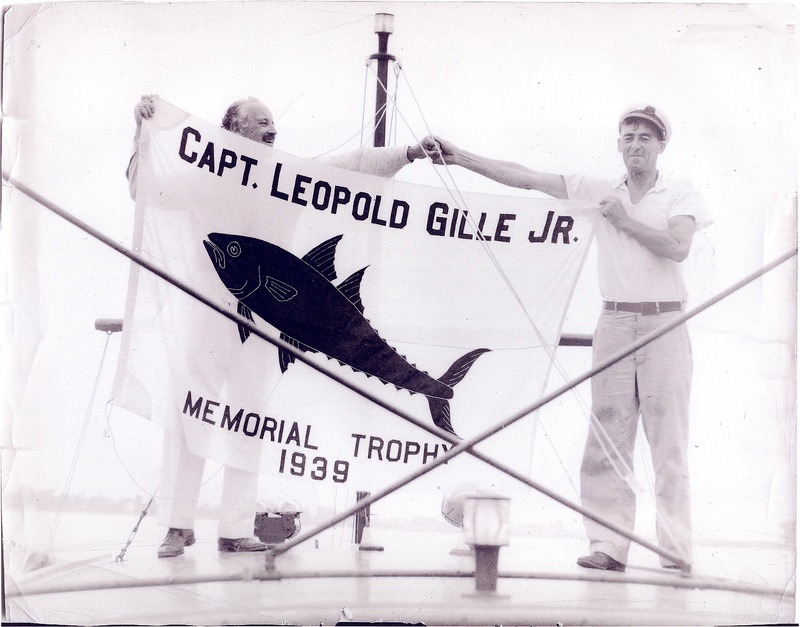 This trophy is still proudly displayed in the trophy case at the present day Forked River Tuna Club. 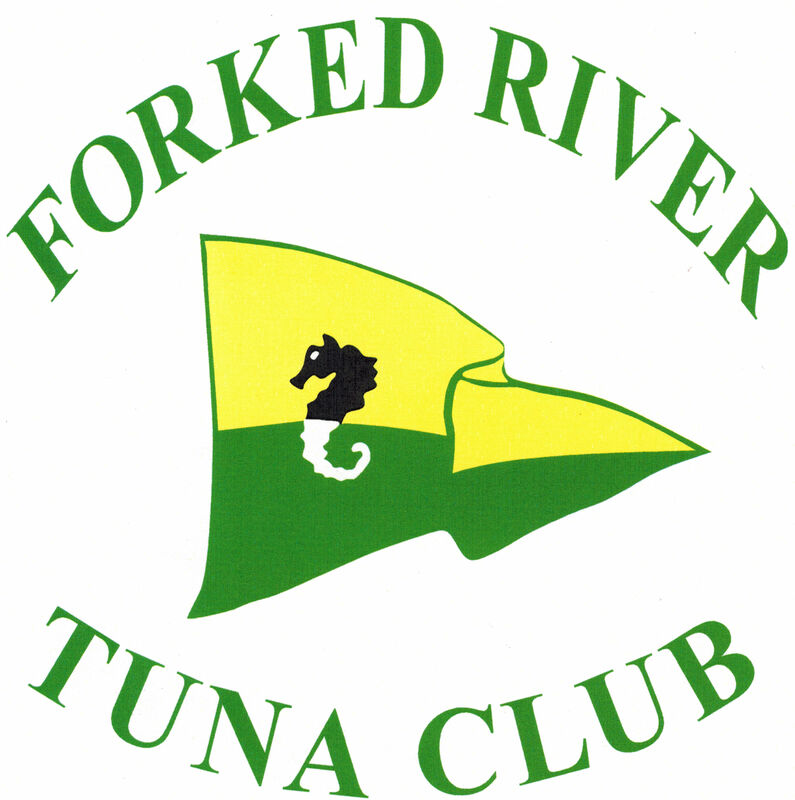 Despite the new name, the original Forked River Tuna Club never lost its identity. 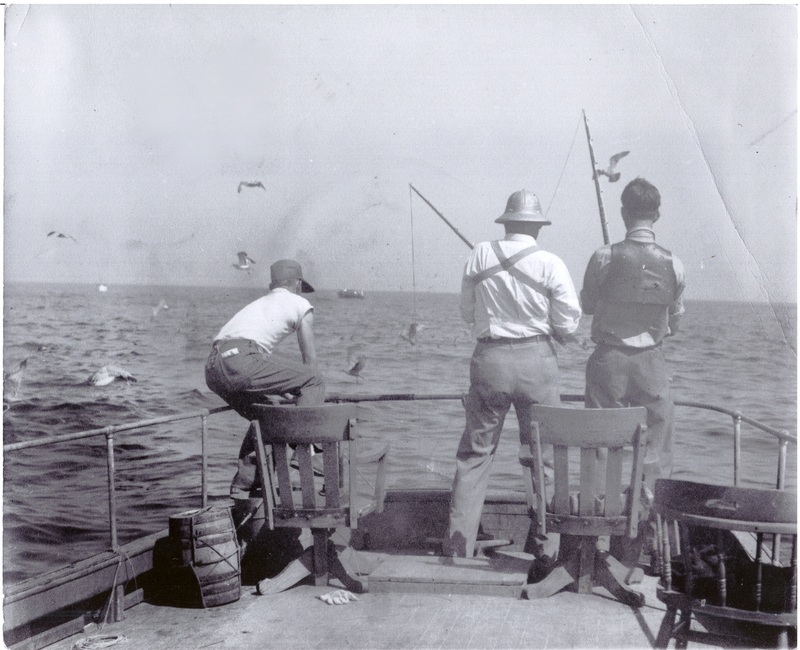 The members were going "full speed ahead" until World War II erupted and all tournament fishing on the east coast ceased, thus putting the club into limbo for the duration. After the war, efforts were made to revive the club but the flame of enthusiasm slowly flickered and was finally extinguished in 1951. 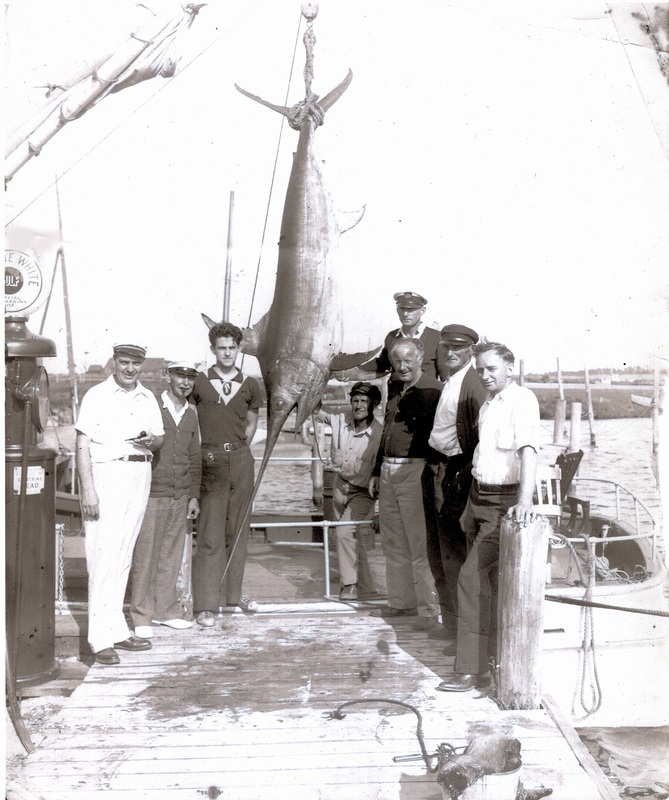 The original members of the Forked River Tuna Club never lost their identity and their determination to revive the club was rewarded in 1954 when fifteen members led by Lewis Winslow got together and held a meeting in the building that housed the help from the Eno Hotel. This building had just been purchased by Les and Betty Prickett to become the now famous Captain s Inn. Early meetings of the club were held at the home of Richard Lyon on Port Street. The first order of business for the newly formed club was to resurrect the liquor license previously held by the Yacht & Gun Club. 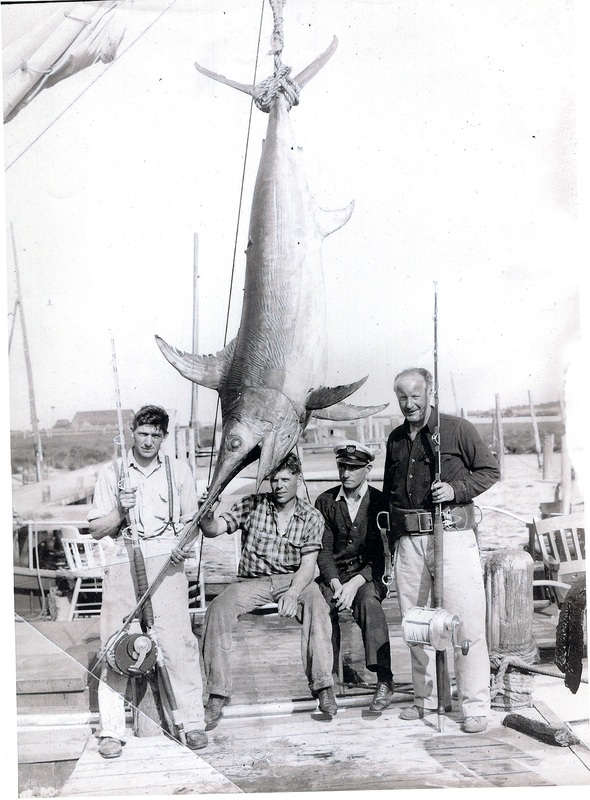 This was achieved in August 1955 when the State of New Jersey, Township of Lacey issued a club license in the name of the Forked River Tuna Club. 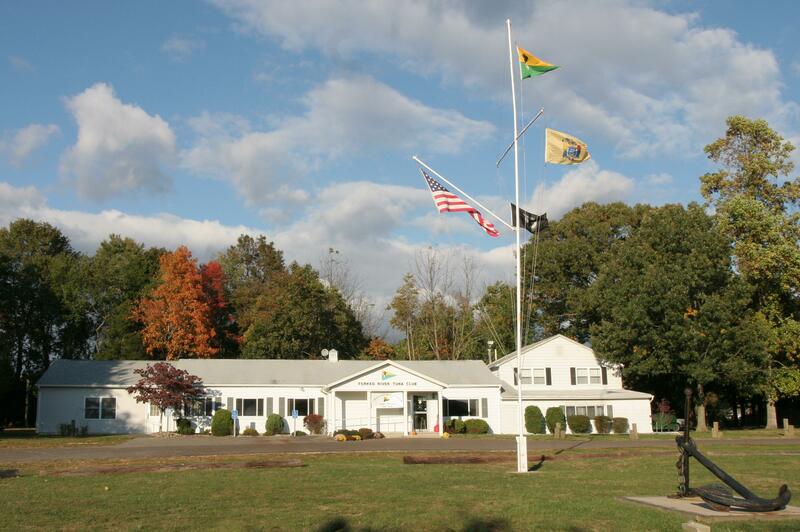 A few months later, the club was finally incorporated in the State of New Jersey on Feb. 13, 1956 with 15 charter members. 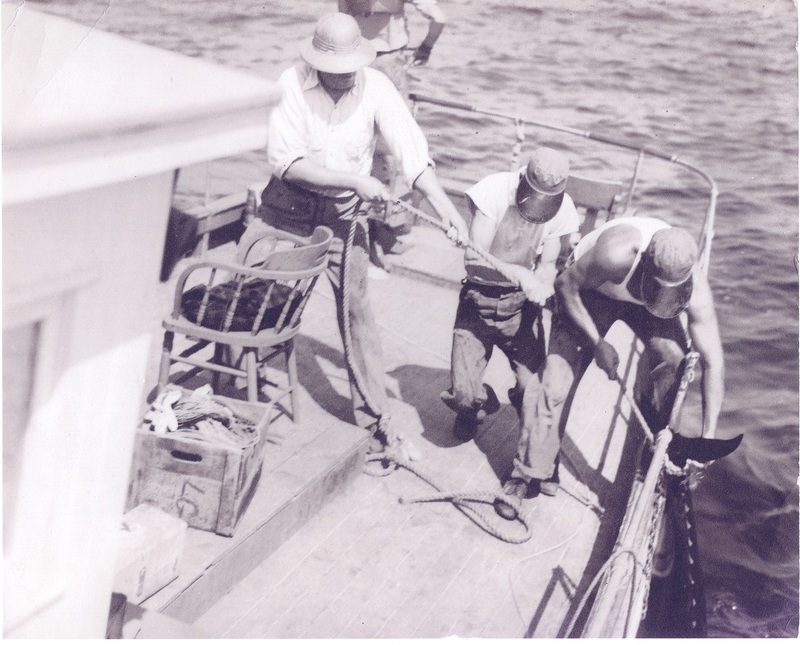 b) Skill and efficiency in the handling of yachts, boats and hunting equipment. c) Healthful, social and recreational activities and provide the necessary facilities therefor. It was indeed an active and productive period for this small dedicated group. Finally in February 1956, negotiations for the purchase of our present site on Bay Avenue and Thomas Lane were successfully concluded. The original building was a two car garage with an apartment upstairs and a row of chicken houses along the back property line. A porch was added as a room to hold parties. The women had to run up and down the stairs with the food as the only kitchen was on the second floor. 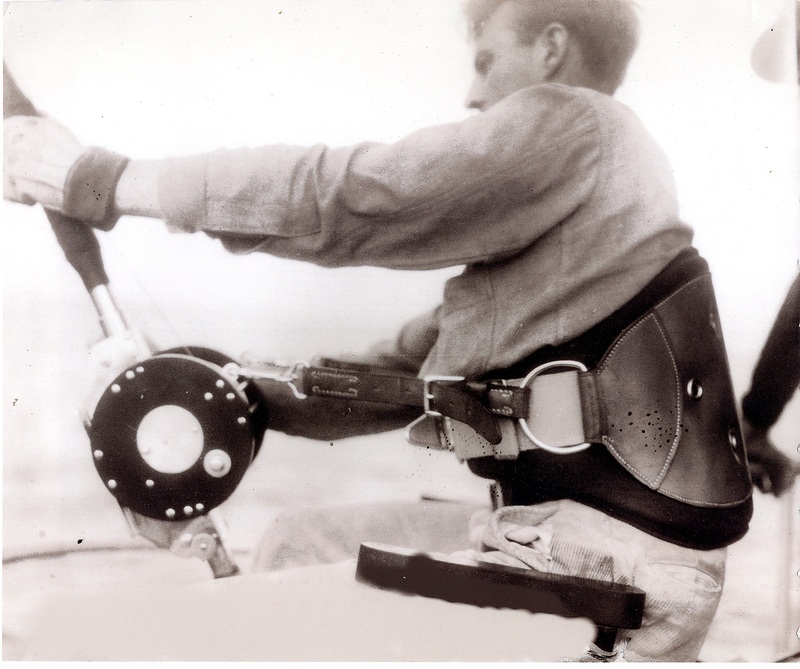 As more people became interested in boating and tour­nament fishing, the club began to grow to the point expansion became a necessity.